Making the decision to transition to natural hair is kind of a big deal. From learning our curl pattern, figuring out what products to use, and committing to a natural hair routine that actually works, the whole process can be overwhelming. And that’s before we even get to styling. When most of us made the transition to natural hair, all we wanted to do was just figure it out. And as we eased into it, taking the time to understand and learn, we anxiously awaited the moment we were ready to style. One of the first styles that those new to natural hair gravitate towards is the twist out. Who else remembers those early days where all you wanted to do was master a perfectly defined twist out? It’s one of the easiest styles to do and is one that really makes you feel natural and free. There are a few things in your hair journey that make you feel quite like the day you achieve a flawless twist out on your natural hair. And we get it. 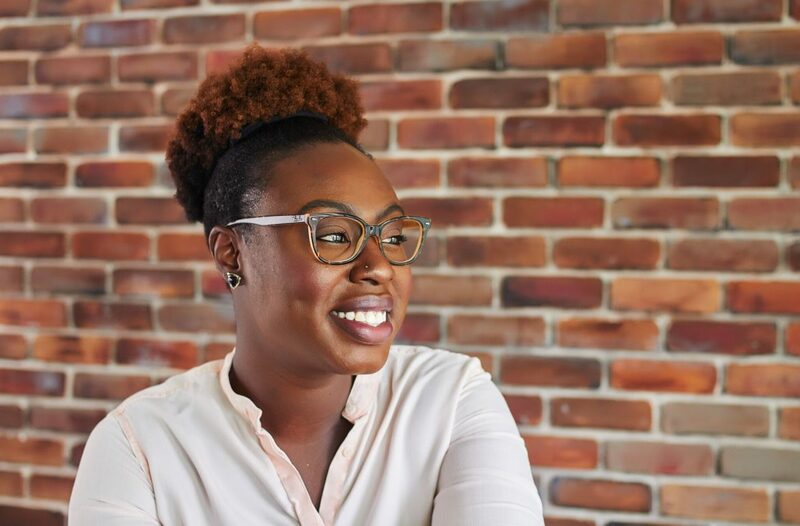 Twist outs are great for manipulating definition and they are really helpful as you make your way through the learning process of your natural hair. But, if you’ve done them long enough you’re also aware of the challenges that come along with making this your go-to style. If you’re getting to a point where you’re feeling the exhaustion from countless hours spent twisting, taking down, and retwisting your natural hair it’s time to try a wash and go. Wash and go’s are the best way embrace the freedom of natural hair while allowing your natural curls to shine. Ready to make the switch? We’re here to help. For starters, wash and go’s are quicker and easier to do. While we love the big fluffy twist out as much as the next girl, the process can get really old, really fast. Especially if you find yourself twisting and retwisting every other day. When done correctly, a wash and go can last anywhere between 3 – 14 days and when it’s time for a fresh one, it takes significantly less time to do. Think of the freedom! But, besides the time commitment, wash and go’s are actually better on your delicate natural hair strands. Too much twisting can cause stress on the end of your hair, making it more susceptible to breakage and damage. And because you can’t wet a twist out to refresh it, you may also find yourself battling dryness as well. With wash and go’s, water is a welcome refresh which helps with more moisturized hair and a cleaner scalp. While the benefits of a wash and go are abundant, like any new process, there are some challenges that accompany your switch from a twist out natural to a wash and go natural. Being well informed and prepared can help make this next transition of your natural hair journey as smooth as possible. Understand your hair will be different. With two strand twists, your “curl pattern” is whatever you want it to be. Chunky twists will give a more wavy pattern, smaller twists will look kinkier, and medium twists will give you curls somewhere in the middle. With a wash and go, you’re dealing with your hair’s natural curl pattern which may be much different than the twist out patterns you’re used to. This is normal and it may take some time to get used to the differences but the freedom will be well worth it. Get comfortable with shrinkage. Every natural has experienced the shrinkage with their natural hair. However, twisting the hair helps with stretching allowing it to get closer to its full length. Remember, with a wash and go, you’ll be dealing with the full effects of shrinkage so it’s best to get comfortable with it beforehand. Prepare the hair with hydration. The key to natural hair is hydration. From hairstyles, to daily maintenance, to overall appearance, hydration is essential. One of the best ways to really hydrate your hair is to steam with a good conditioner and restorative treatment. This can give natural hair the moisture it craves. If you can do this once a week, with the Urbanbella Condition & Repair Kit, you’re setting yourself for a much easier process to a perfect wash and go. Upgrade your natural hair product stash. We like to think of natural hair as a fine cashmere sweater. It needs the good stuff in order to stay in its best shape. This means you’re going to want to invest in some quality products for your delicate tresses. Urbanbella styling gels are full of ingredients that help your hair last without flaking or drying out. You’ll want the best ingredient because you’ll be using them often. Your hair (and your friends when you tell them what products you’re loving) will thank you. Embrace the learning curve. Your wash days will be shorter, but you’ll be washing more frequently. Products may be a bit more expensive, but you’ll love the effect they have on your hair. You may get totally and completely frustrated on your road to wash and go natural hair freedom, but it’s all completely worth it. If after a month or so, you still find yourself not quite mastering the technique, come give us a visit and we’ll walk you through it. Step by step. Thank you! Thank you! Thank you! I have learned much about my natural hair care from you and your products. Before using the non-lather cleanser, conditioner and repair mask, I had clumps of hair in tbe shower after washing. Now i barely have a few strands come out with each wash. I am actually right now sitting under a hair steamer that I purchased since you suggested steaming once a week. I look forward to trying the Cre gel next. Thanks again for your products and knowledge. You are welcome! 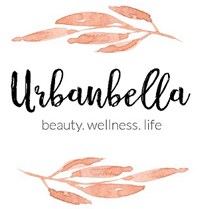 We are so glad you are having great success with Urbanbella products! I read a lot of content about natural hair care, and this is one of the best posts I’ve read in ages. I hadn’t really thought about, but you’re right! : I’m not just trying to master my wash and go, I’m in fact transitioning from twist out’s to wash and go’s. How helpful to have this under consideration as I manage my expectations. Points #3 and #5 that you shared are truly helping me. It is more helpful to have the aim of hydrating my hair and seeing how well I do my wash and go’s over the next month versus the broad goal to “master my wash and go.” Many thanks! Blessings!